Chances are your garage door takes up a lot of space on the front of your home, or maybe it protects valuables inside your business. 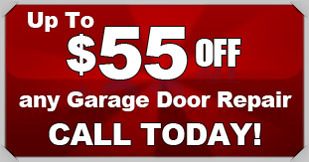 In either case, it is important that when you need garage door repair in Cleburne, you get fast, reliable service. At Action Garage Door, we have been serving customers across Texas for more than 20 years. You can trust our skilled professionals to help you find a new door or an efficient fix. Super quick response, efficient and knowledgeable repair! Called home to garage door jammed with multiple issues. Thirty minutes after calling it in we had a knowledgeable and efficient technician on site. Repaired and balanced garage door in short order. Great fast service, technician very personable, positive attitude. It was a very good experience. Alan was awesome! No matter your issue may be, we understand that you want it resolved as quickly as possible. We offer emergency garage door services around the clock and can be at your home or business within the hour to make repairs. This will give you peace of mind and ensure that your space is well protected from inclement Cleburne weather. Our team is well-versed in troubleshooting mechanical problems and replacing panels that have suffered cosmetic damage. We can also offer repair for faulty garage door openers. In some situations, it may be a more prudent idea to replace your door. We offer a variety of styles and high-efficiency options to best suit your needs. We are fully insured to offer you maximum protection. We work efficiently in order to keep your prices low while still providing reliable services. Lastly, all of our projects are sure to meet Cleburne building codes. At Action Garage Door, our goal is to provide you with the best installation or garage door repair in Cleburne. To schedule a free in-home estimate today, please contact us today.